“The Star We're Looking For Isn't So Very Friendly," Said Moomintroll. "Quite The Contrary, In Fact." "What Did You Say?" Said Sniff. Stars In General," He Said, "big And Small, Friendly And Unfriendly, And So On." "Can They Be Unfriendly?" Asked Snufkin. 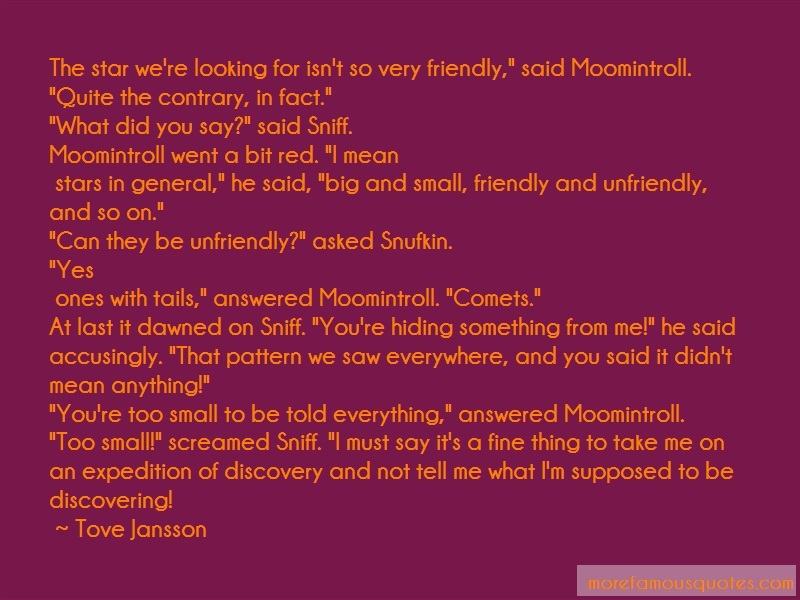 Ones With Tails," Answered Moomintroll. "Comets." At Last It Dawned On Sniff. "You're Hiding Something From Me!" He Said Accusingly. "That Pattern We Saw Everywhere, And You Said It Didn't Mean Anything!" "You're Too Small To Be Told Everything," Answered Moomintroll.